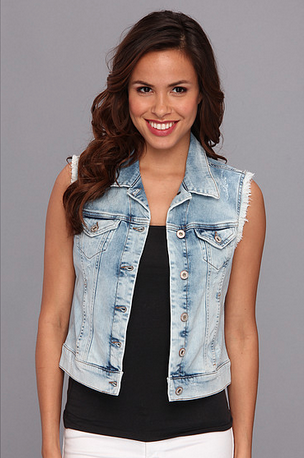 I love my denim jacket, never thought to get a vest! 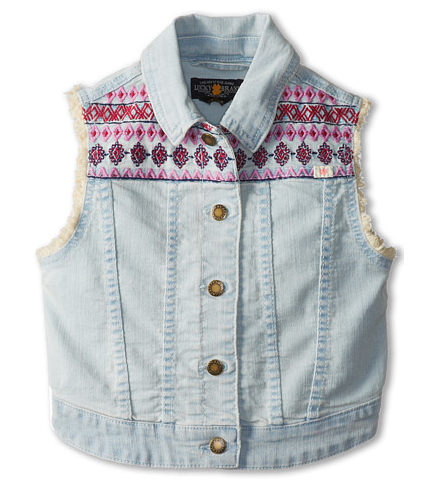 It's so cute and perfect for summer! Oooh I love the idea of being able to cover up a strapless maxi and wear it to work (because I'm addicted to Maxi's). And just in general that it kind of changes up an outfit. 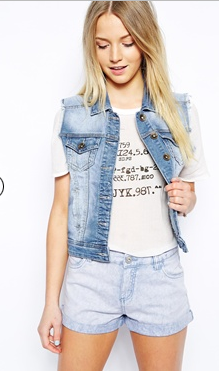 Plus I just love denim. My only question is how do you handle it if you need to wear a sweater? I'm always cold and I just don't know how it would look to put the sweater over the vest. Stop! Too cute! I do need a denim vest! I didn't know it, but now I do! 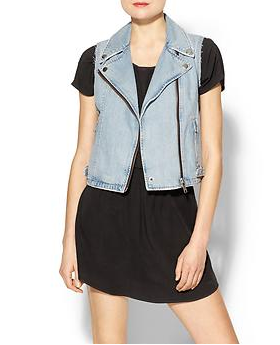 I really do like a denim vest, if it's styled right! I love how you have yours paired with a white feminine dress and sandals. Too cute! I love the dress you have under this vest! So cute! I need one badly! Love yours from Target!